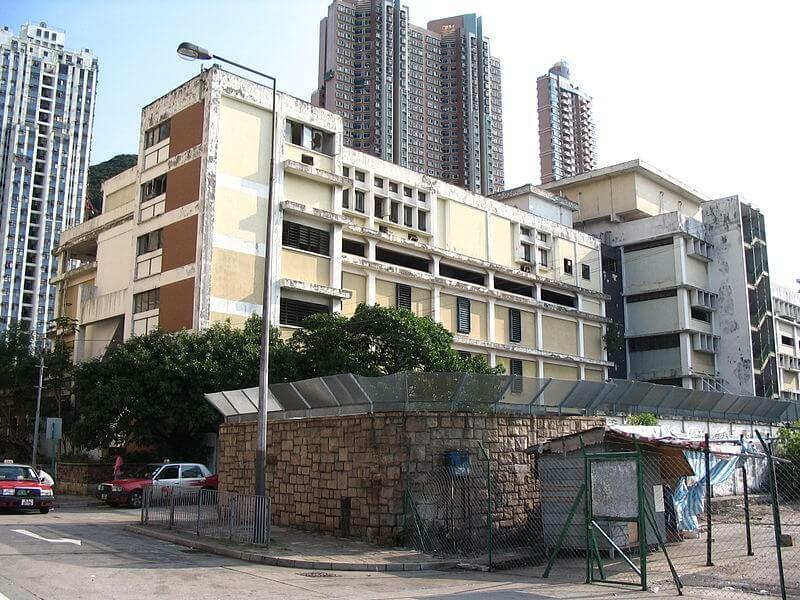 HF: There were at least two slaughterhouses/abattoirs in Kennedy Town. As always additional information, photos, maps, clarification and corrections would be appreciated. I have highlighted specific questions in red. 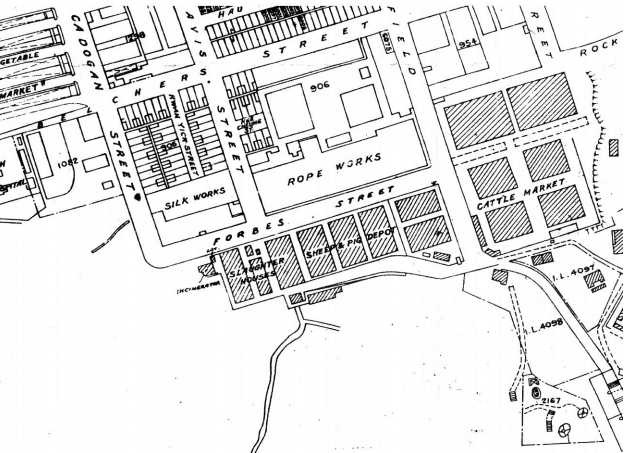 This 1889 map of Kennedy Town shows a slaughter house, adjacent incinerator and a sheep and pig depot south of Forbes Street. Their total length was about 200 metres. For the purposes of this article I will refer to this as the Smithfield slaughterhouse. When did this slaughterhouse open? There is also a cattle market east of Forbes Street and Smithfield (indicated by …field on the map) with Rock Hill Street to the north and Pokfield Path to the south. 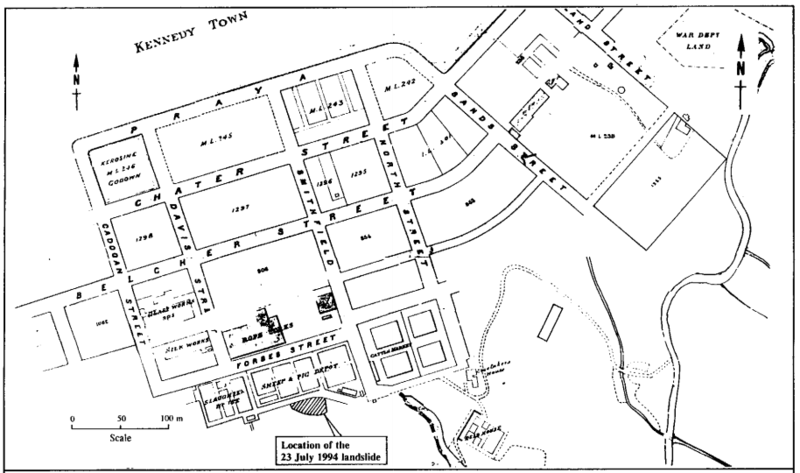 Does this cattle market include the two large, shaded buildings immediately to the north? Smithfield – presumably named after its London namesake? 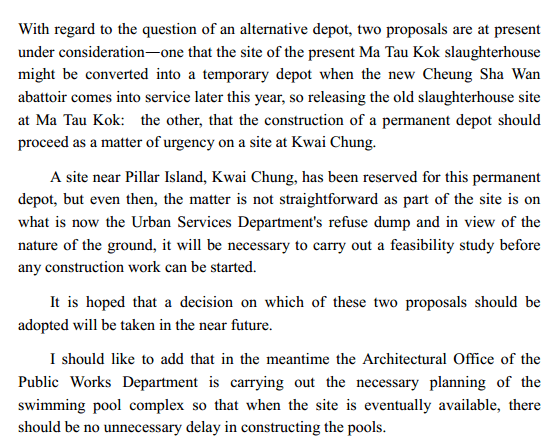 On the 11th March 1901 the HK Legislative Council discussed and agreed to a payment of HKD2,020 for the construction of a “cattle crematorium as close to the Government cattle depots as possible” in Kennedy Town. 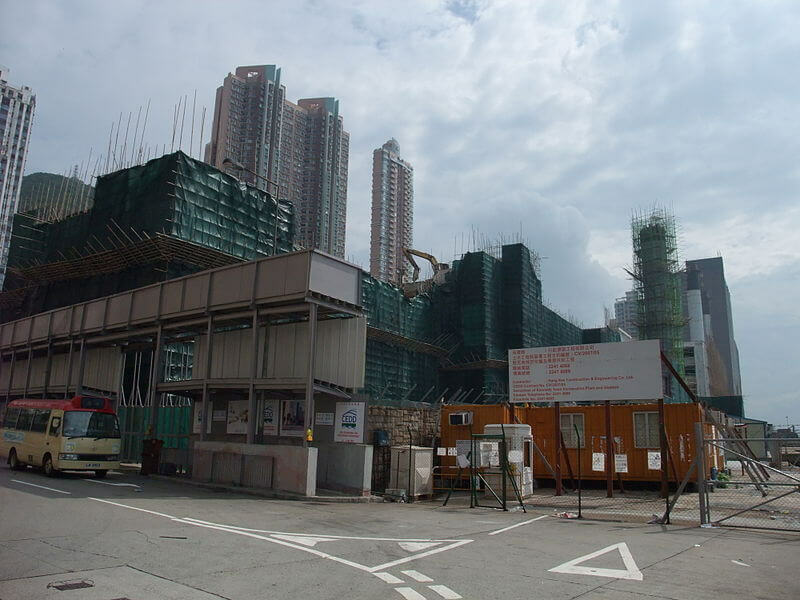 Construction of the new Kennedy Town Abattoir began on 10th March 1966. But when did the Smithfield slaughterhouse actually stop functioning as an abattoir? 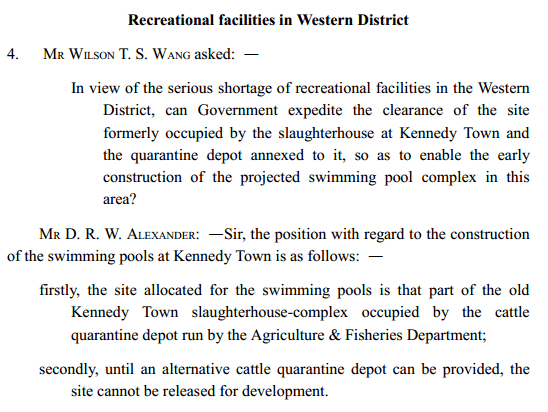 Despite calls to convert the original slaughterhouse site into a swimming pool, the government said in 1969 that the plan was not feasible until both the cattle depot and the former slaughterhouse complex (then occupied by the cattle depot as well) were released for redevelopment. 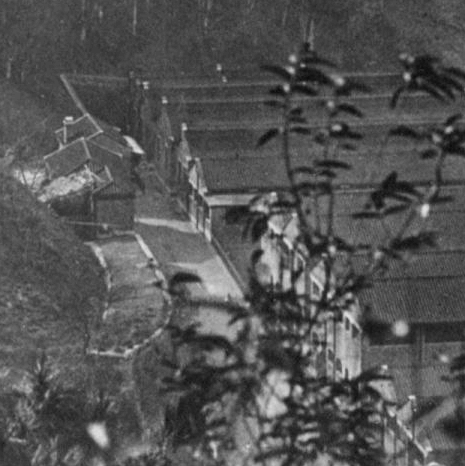 Did the depot actually stop functioning as a site to keep cattle in 1986? Incidently, a more extended version of the 1889 map shown above was used to show the location of the 23rd July 1994 landslide and shows the northern end of Smithfield and the location of Cadogan Street. This article was first posted on 2nd February 2015. Australian cattle to Hong Kong – 1845 invitation, 1880s delivery?